Slight delay in the release by the source. 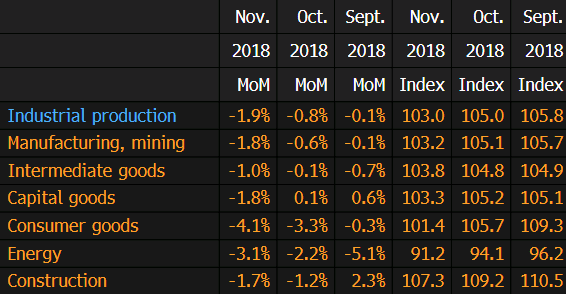 Those are some awful misses in terms of factory activity in November. There's also negative revisions to boot to the October report. 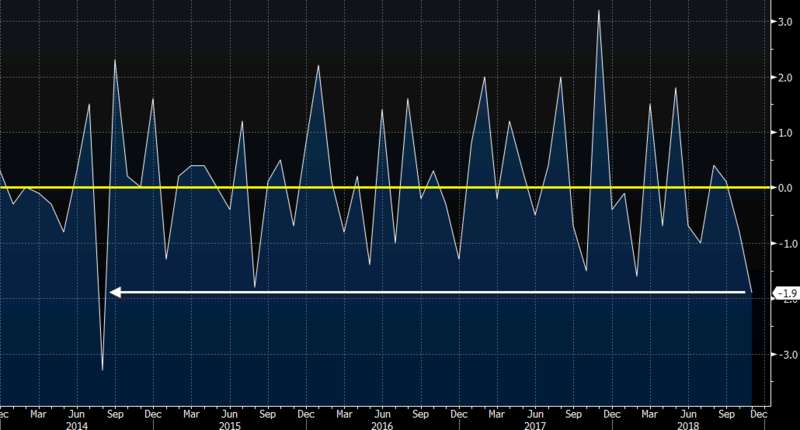 The release here basically adds to the woes coming from the factory orders data yesterday. That's the biggest monthly drop seen since August 2014. Ouch. EUR/USD is weighed a little lower to 1.1435 from 1.1440 levels earlier. EUR/GBP meanwhile falls to a low of 0.8960 on the day. It's a minor data point but certainly not the kind of thing that will help give the euro a lift to start the session.